I’ve been searching for a cool case for my 2DS that is different from what you can normally find in the store. The official cases from Nintendo are too big and just overkill for what I really need — a small 2DS bag or homemade 2DS pouch so the 2DS doesn’t get scratched while it is in the backpack. I told Mariko about this a while ago and asked if she could make something for me since she is really into sewing and crafts these day. I was so happy when she presented me with this AWESOME pouch that has K.K. Slider from Animal Crossing (my favorite game) stitched on it. Isn’t it amazingly cool?!?!! I told her that she needs to make more of these. You know, I’d really like a Yoshi version, and a Godzilla one would be cool too. 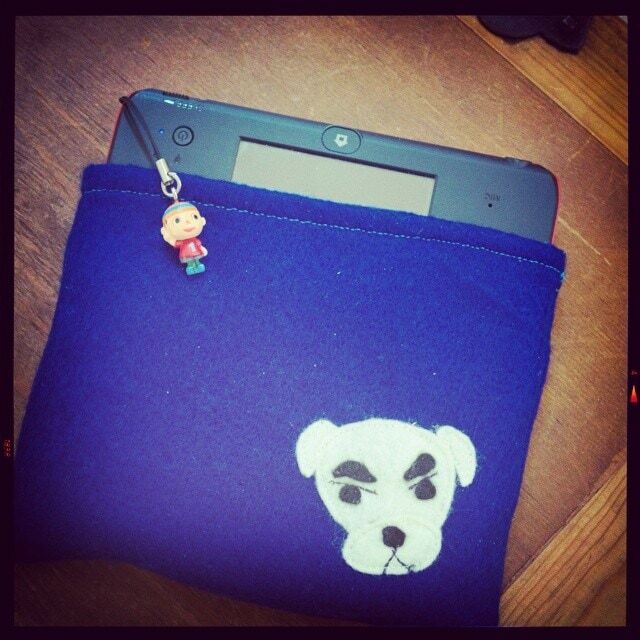 But honestly, my Animal Crossing 2DS case can’t be beat!